2016 was a big year for actor Mads Mikkelsen. The Danish actor starred in two massive blockbusters, Doctor Strange and Rogue One: A Star Wars Story. 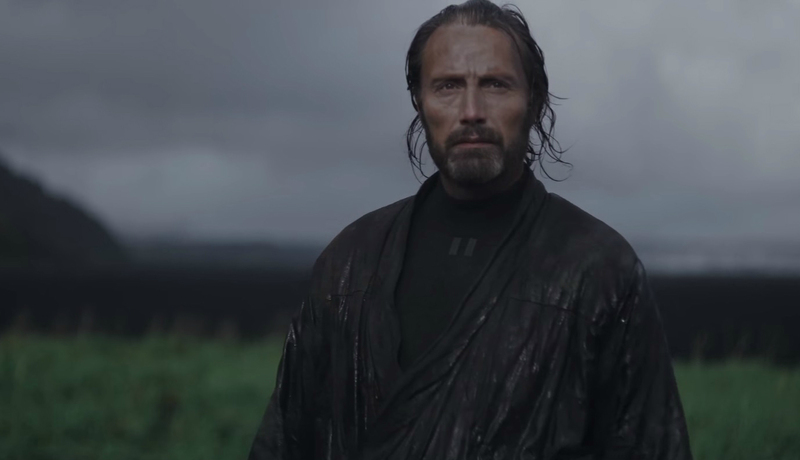 Mikkelsen played Galen Erso in Rogue One, the man who designed the Death Star and planted the flaw Luke Skywalker would one day exploit to destroy the Empire's battle station. "You know, the Star Wars films have always been about dealing with the Rebellion, the people that are fighting the Empire. But it’s actually very interesting to go and see the people who actually are in the Empire, and I’m one of them. And surprisingly enough, the people of the Empire have families, and wives and daughters that they love. You know, they are the other guys we don’t know so much about. And I think it would be interesting to you know, to make a film about the people of the Empire. Who are they, and why? Are they evil? Or do they believe in something greater." "I had one day of reshoots, and that was just basically just a few shots on a big platform when it was raining and I see my daughter again when she’s grown up, and that was mostly just technical stuff, and a little story thing just to clarify the story a little bit more. And that’s what the reshoots are for, and I think that’s quite normal. I had one day and I know other people had more, but you really never get that chance very often, to see the film and go, ‘You know guys, we could have a little better or a little clearer.’ We never get that chance, and I think it’s a beautiful thing that we were able to go back and do that." "I’m game for it man, it’d be tricky, but I’d give it a shot." If Galen can be worked into the story in a natural way (which is to say not just having Galen on the show for the sake of having Galen), I would love to see Mikkelsen reprise his role. It would be fun (and not entirely impossible to justify) to have a seen between Galen and Grand Admiral Thrawn (who is voiced on the series by Mads' brother Lars Mikkelsen).